ISLAMABAD -- Gen. Kenneth F. McKenzie Jr., the new commander of US Central Command (CENTCOM), conferred on foreign policy with Prime Minister Imran Khan Monday (April 8) in Islamabad, Geo News reported. The two leaders discussed US-Pakistani relations and the ongoing Afghan peace talks, among other matters. McKenzie Sunday (April 7) met with Chief of Army Staff Gen. Qamar Javed Bajwa too, according to Inter Services Public Relations. They discussed the geo-strategic environment and regional security, including the situation in Afghanistan and a recent standoff between Pakistan and India. McKenzie became commander of CENTCOM in March after the retirement of Gen. Joseph Votel. 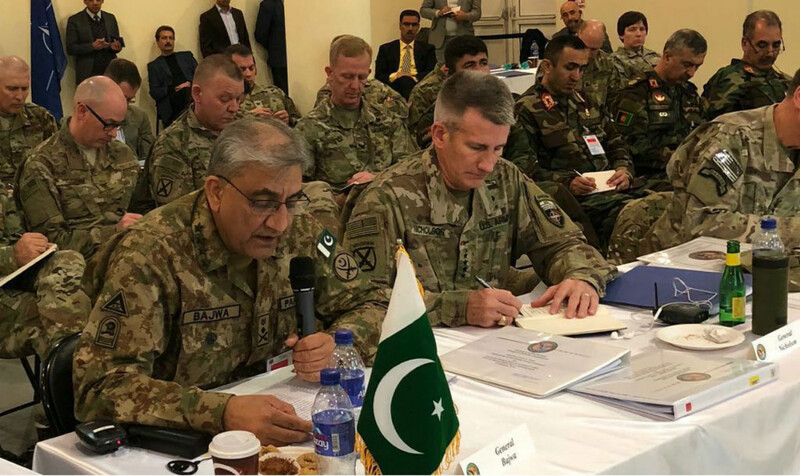 'The path to regional peace and stability passes through Afghanistan,' said Pakistani Chief Of Army Staff General Qamar Javed Bajwa.